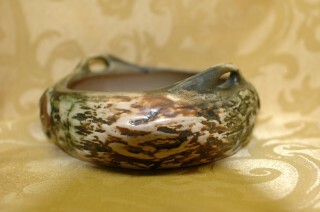 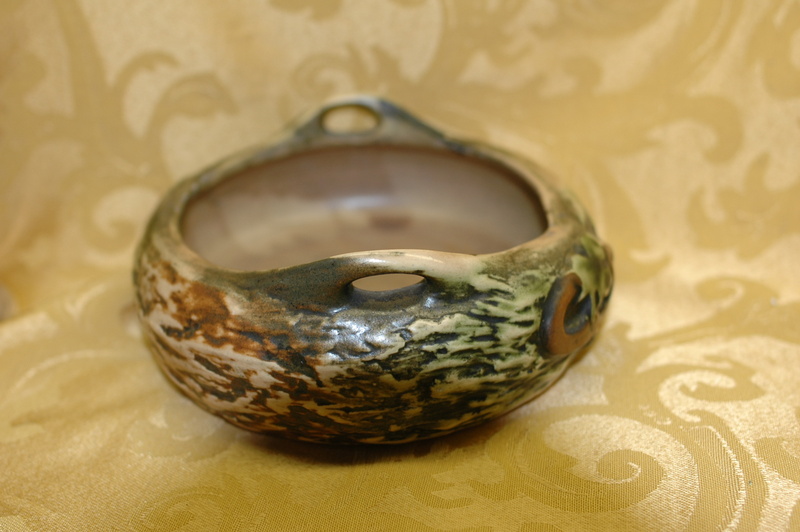 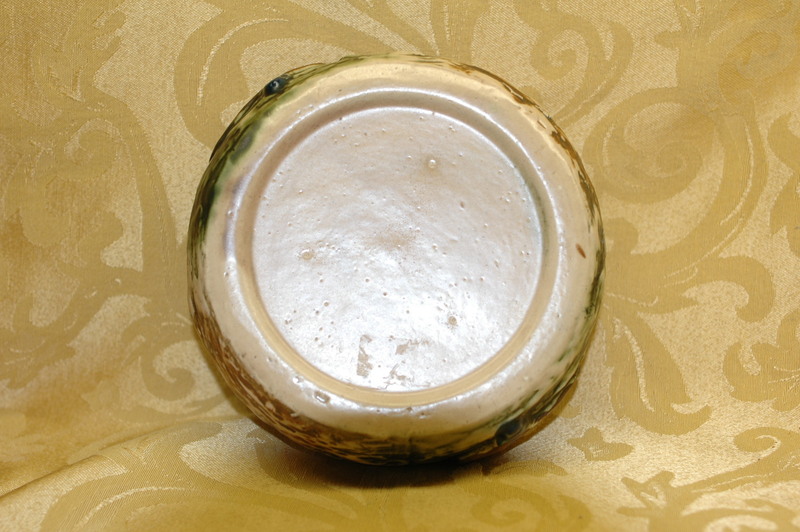 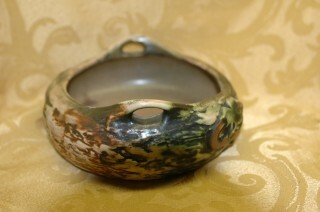 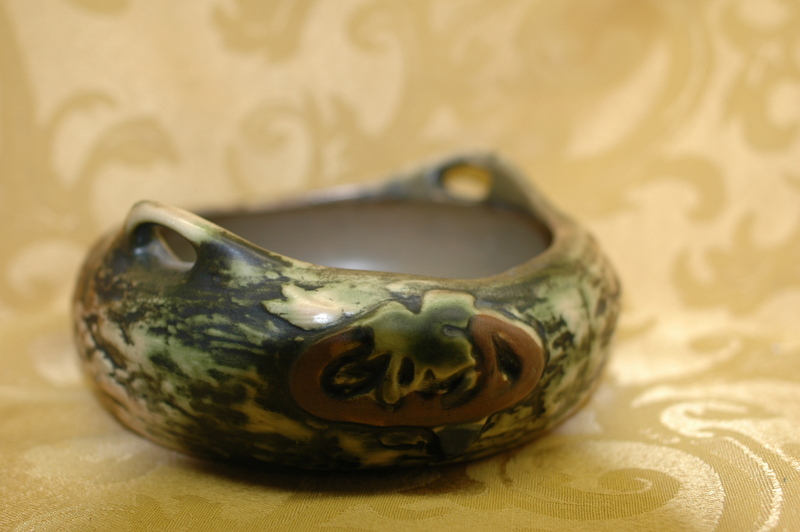 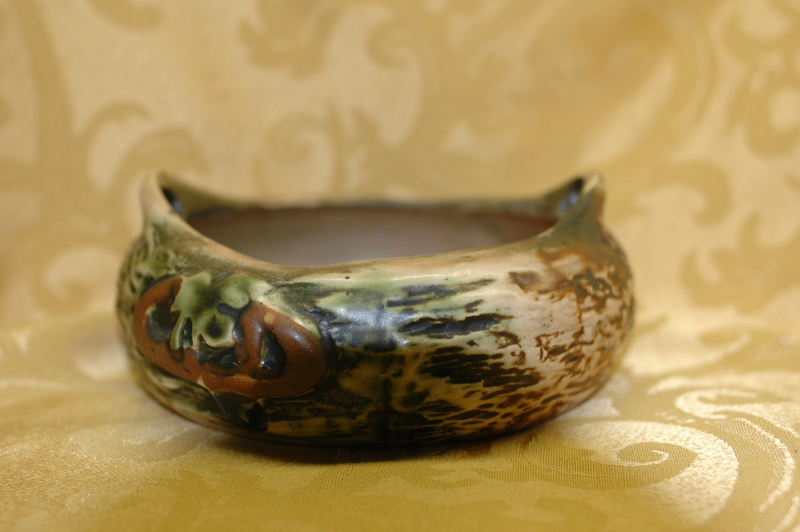 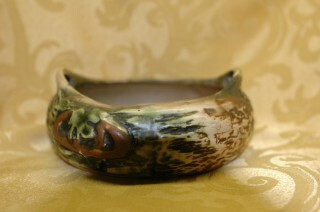 Nice original art pottery handled bowl. 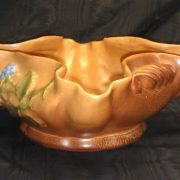 It was made by Roseville Pottery c. 1920. 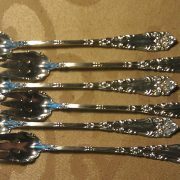 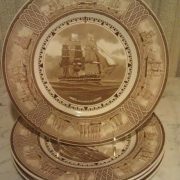 It is in the Imperial I pattern. 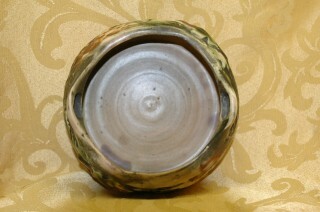 Measures 6-3/4″ across. 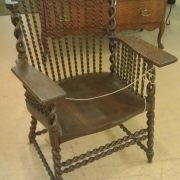 No chips, cracks, or repairs.